To automatically be in the draw to win, purchase Lifestream Spirulina Performance 250 + 50 tablets in the month of August 2018 and scan your loyalty card in-store. 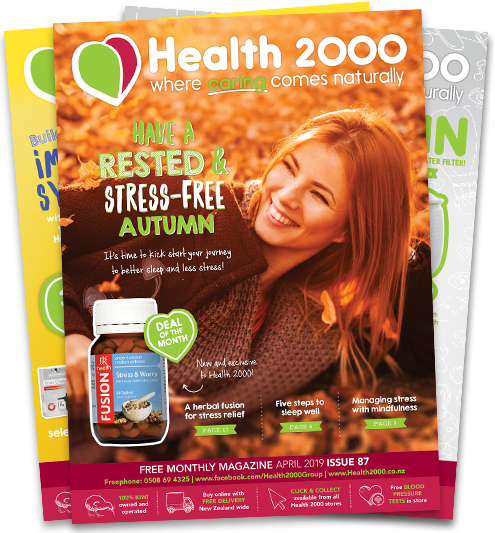 Online entries: purchase Lifestream Spirulina Performance 250 + 50 tabs and email info@health2000.co.nz with your order number and loyalty card number during August 2018. You can sign up to our loyalty programme and enter the draw upon request and if required. By entering the competition each entrant will be deemed to have accepted these terms and conditions and to have agreed to be bound by them. Entry is open to New Zealand residents only. Employees of Health 2000+ Ltd are not eligible to enter these promotions. Winners will be drawn on Monday 10th September 2018. If the prize winner cannot be contacted within seven days, that winner will forfeit the prize with no right of compensation and the prize will be redrawn. By entering the competition winners agree to their names being published and to be photographed for publicity purposes. The prize of one of 70 New Balance product(s) up to the value of $200.00 each is not transferable or exchangeable and cannot be redeemed for cash. Neither Lifestream, New Balance or Health 2000 are liable for damage to prizes sent by post or courier. Your New Balance $200.00 prize needs to be redeemed by 31st March 2019.